The SDC network is gathering, organizing and sharing our best practices, activities and guidance on States’ and SDCs’ roles in the 2020 Census. There are many opportunities to help promote and support the upcoming 2020 Census. Public citizens and government officials can work to spread awareness through complete count committees, schools and universities, Governor’s Commissions, faith-based institutions, and in many other capacities. Utah’s Complete Count Committee website, featuring resources for local entities and updates on the activities of the Complete Count Committee. We need to work together — local governments, community agencies, and you, the people of the great state of New York — to make sure every New Yorker is counted in 2020. 2020 Census: Counting Everyone Once, Only Once and in the Right Place. The Census is constitutionally required to apportion seats in the House of Representatives. In addition, the federal government distributes funds based on Census data. Find detailed information sheets and links to other important Census topics and themes here. See the great work being done across the nation! Many states have established websites to provide local users the important information they need to stay informed and participate in 2020 Census activities. Links to these sites are provided below. If you are aware of a site that is not listed, please add the information here. Accurate Geography is the starting point for Accurate data! The Census Bureau provides many programs for local governments to review and update geographic files. There are several geographic partnership programs focusing on different sets of geography. The Boundary and Annexation Survey (BAS) requests that local county, state and tribal governments review and update their legal boundaries every year in the Census Bureau’s geographic database. 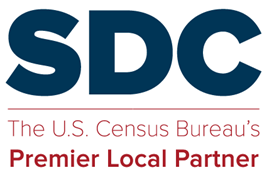 The Participant Statistical Areas Program (PSAP) helps local, regional, and tribal governments fill in their data gaps by defining statistical boundaries (tracts) and identifying community areas where no legal municipal boundaries exist (Census designated places). The Geographic Support System (GSS) program encourages local, state , and tribal governments to provide addresses and streetlines data to the Census Bureau throughout the decade. The Census Bureau is planning now for the data products that will be released following the 2020 Census. Look here for important information, opportunities to comment, and product updates.